I eat loads of those lovely Raw bars or Lärabar (if you are from the US). I have them handy in my gym bag or at my desk at work. Because I think they are handy snacks between meals or when I’m on the go. 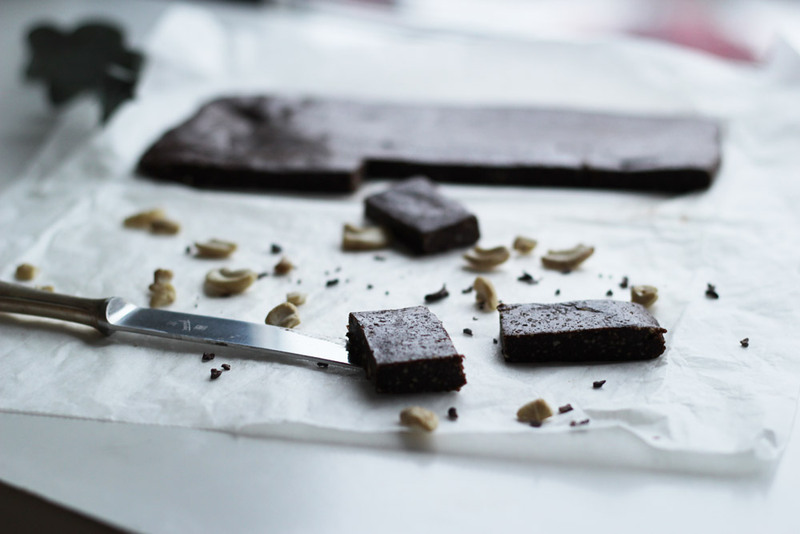 Buying these energy bars are quite expensive though and it’s much cheaper to make your own. As I’m being deliberately frugal this year I’m going to start to make my own instead. These I did during a weekend whiel I was food prepping anyway and contains a mix of raw cacao and maca powder since I’m also on a mission to het my health and diet back on track. Add all ingredients (nuts fist, then the dates) to a food processor, process until there is a sticky dough. Work the dough on to a tray, covered with a sheet of baking paper into an even rectangle or square. Let set in the fridge overnight and cut into bars, and store the bars in an airtight container in the fridge.